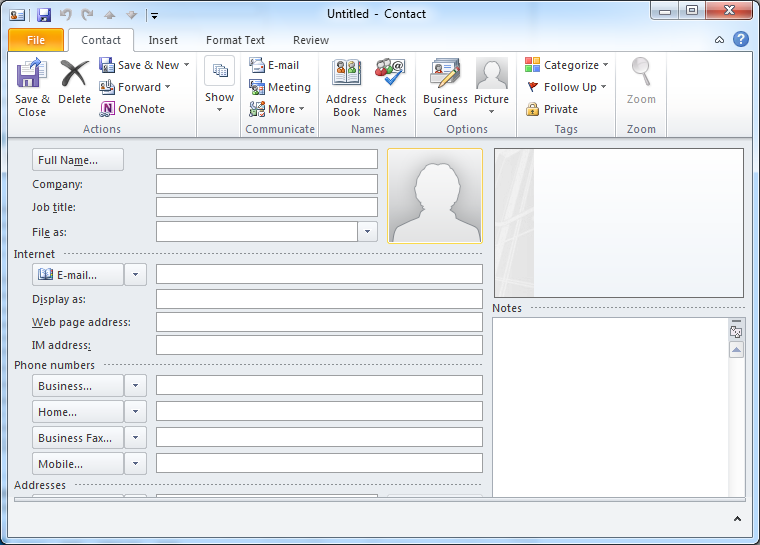 Outlook email client works great as contact management system which you can share with your organization or the concerned individual.You can easily organize contacts based on the priority or type of contacts (family, business or colleagues). 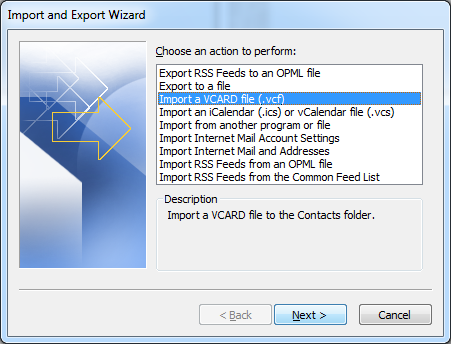 Click on New Contacts which will open a contact dialog box where you can feed all the information that you want to store. Updating contacts is also easier: just double click the contact you want to update which will open up the editing panel and you can then easily edit the information of the concerned individual. Tip: you can also send the contact as a SMS if you have text messaging account configured. If you want to send the contact just select the final option of “Forward as Text Message”. 3) Provide the name of the contact group (e.g. “my friend circle”). Start adding people to that contact group by clicking “Add Member” and selecting the member from your outlook contacts or address book. You can also add a new member if it does not exits by selecting “New E-mail Contacts” .